The capital of Mexico is just everything you will expect: colors, music, noises, chaos, great food, and much, much more! Mexico City or CDMX as it was rebranded some years ago, is a city you have to visit at least once in your life. 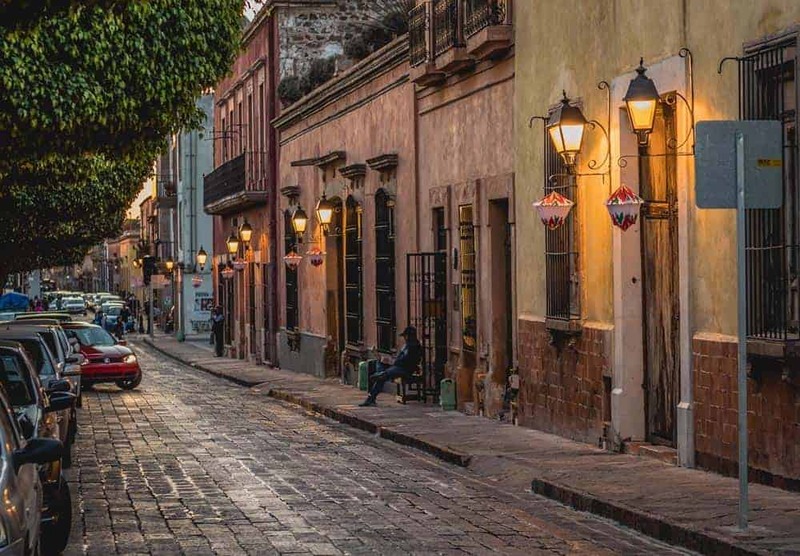 Read Talk Travel’s guide to Mexico City and start planning your trip. During 2017, Mexico’s City Airport served almost 45 million passengers. There are flights from almost everywhere to the Airport of Mexico City (MEX). There are also other big airports in Mexico, like the ones in Guadalajara, or Monterrey but they’re not that close to CDMX and domestic flights may not be as cheap as in Europe, for example. When checking for flights, choose the airport of Cancún as your destination, there are many cheap flights from Europe to Cancún and you can even take some days to explore that beautiful beach. Mexico City’s weather can be unpredictable but not as extreme as other places of the world. Rainy season (during the summer) may not be a good time to visit the city, there’s a lot of chaos and even floods. 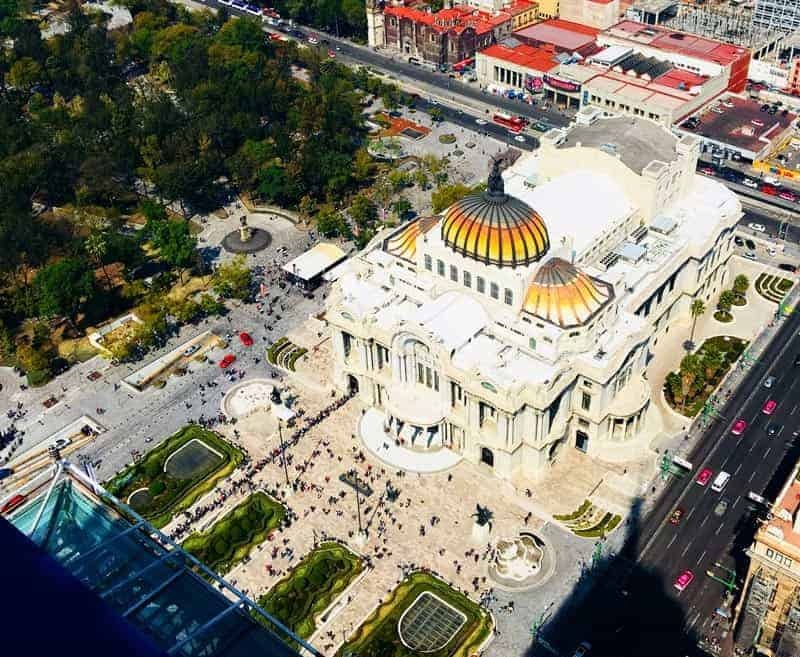 We’d recommend visiting Mexico City from August to November. During those months you’ll find nice, mild weather and not a lot of rain. Avoid February and March if you’re not used to air pollution. You can see a lot of important places here: Templo Mayor, part of the Mexica capital city of Tenochtitlán; the Cathedral of Mexico City; the Zócalo; the National Palace; museums, like the Museum of Cultures or the Museum of Caricatures; departmental stores; and even streets dedicated to selling musical instruments or fabric. The Anthropology Museum is the most visited museum in Mexico and also one of the most important ones. If you’ve seen the famous Stone of the Sun (which you’ve probably had because it’s super famous), it is housed here. The museum has artifacts from several Mexican civilizations, like the Olmecs, Mayans, and Toltecs. A place to party! A system of islands and canals navigated by trajineras (small, colorful boats with names on them). Here, you can rent a trajinera and go around the canals while eating, drinking, and listening to music. If you have enough money, you can even pay a mariachi to musicalize your adventure. A hip and trendy place. If you like a hipster vibe, go to any of the restaurants or bars in Condesa. Walking around, you’ll notice a lot of parks, full of people with dogs. Visit Parque México (one of the lungs of Mexico City); Plaza Condesa, for alternative and indie concerts; and Librería Rosario Castellanos, an enormous and beautiful library in the heart of Condesa. Pretty close to Condesa, this neighborhood is full of restaurants, clubs, indie shops, galleries, cultural centers, and bars. Most of the buildings here have a French style and were built at the beginning of the 20th century, which gives the streets a pretty look. Go to eat to Mog Bistro for amazing and authentic Asian cuisine (the place is also beautiful). One of the largest parks in the Western Hemisphere (! ), this place has something for everyone. Besides great green areas and a lake, you can also visit the Castillo de Chapultepec, the only royal castle in the Americas and home of the Museum of History; the Chapultepec Zoo and Papalote Museo del Niño, perfect if you’re traveling with children; and Museo Rufino Tamayo, and the Modern Art Museum. Another vibrant neighborhood in Mexico City. 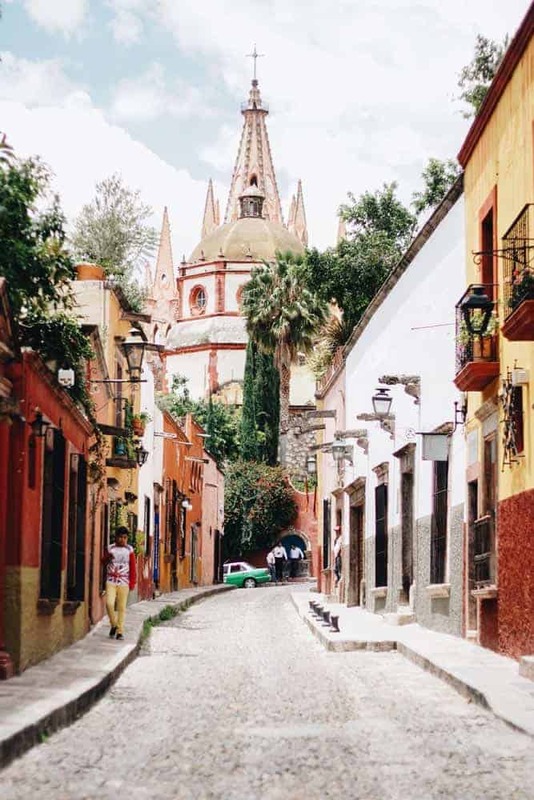 Coyoacán has been home to very famous people, such as Luis Buñuel, Diego Luna, Sergio Pitol, Leon Trotsky, and Diego Rivera. Of course, it’s also the place where you can find the Casa Azul, home of Frida Kahlo, and now a museum in her honor. 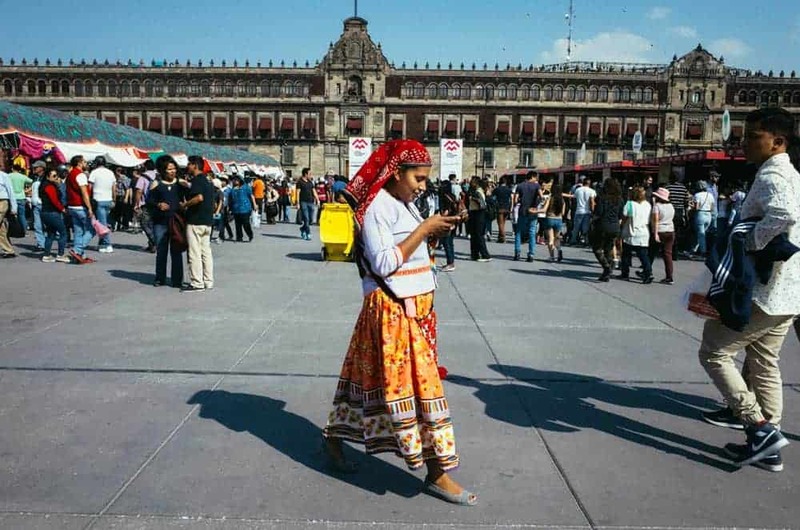 Also, visit the Zócalo and portales to have a coffee, and the market to eat some tacos. 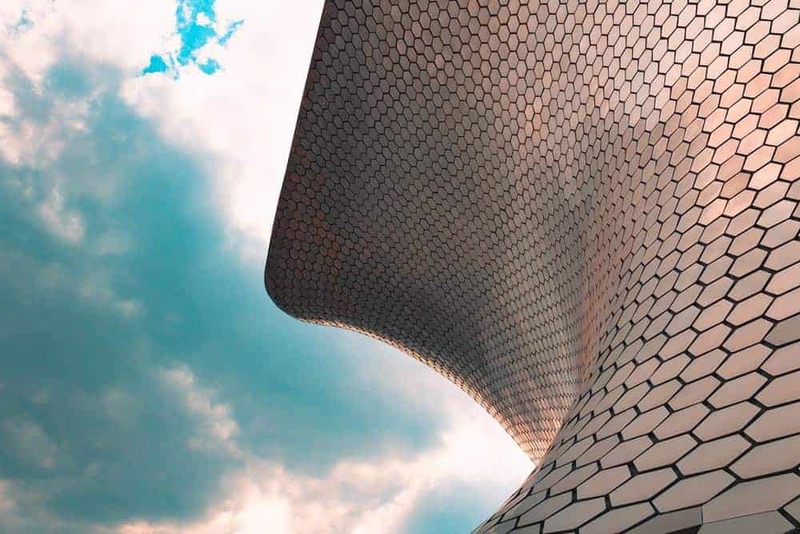 Besides it being one of the most beautiful constructions in Mexico City, it has also been the place where great cultural events have happened. There are also murals by Diego Rivera inside. Near the Palacio de Bellas Artes, you can also visit La Alameda Central Park and the Barrio Chino. Something like the Champs Elysées of CDMX. This wide avenue has public art exhibitions most of the time, so it’s great to walk around it. It crosses Chapultepec, Polanco, and Zona Rosa. Here, you can see the famous Ángel de la Independencia. Every Sunday, the central lanes of Reforma are destined to people on their bikes. You’ve probably seen photos of this famous building. You can see works by Dalí, Rodin, and Tintoretto here. There’s also a shopping mall beside it where you can go into an aquarium. If you still have time, go to Museo Jumex, which has an incredible collection of contemporary art. The Telmex Theatre is also near it, and most of the times it offers great musicals for you to watch. Built in honor of the Mexican Revolution, this is the tallest triumphal arch in the world (it is 67 meters tall). There’s an observation deck, coffee shops, gift shops, and galleries. The monument also serves as a mausoleum, with some pretty important Mexican heroes being buried there. Also called the cathedral of lucha libre (wrestling). This is probably one of the funniest activities you can do in Mexico City. Go there and follow the crowd, shout at the luchadores (but be careful in which side of the Arena you sit in, you don’t wanna scream at the wrong luchador), and have some delicious food. Not in Mexico City per se, but just an hour away. You’ll be blown away by the magnitude of this archaeological site. Teotihuacán was part of the capital city Tenochtitlán, and it was one of the largest cities in Pre-Columbian America. Bring sunscreen, and a cap, since there’s barely a place to guard yourself against the sun. As in any big city, you can find the cheapest street food and the most expensive Michelin star restaurant. There are places where you can get 4 course meals, called cocinas económicas or comida corrida, for around 4 or 5 USD (depending on the zone). These places are usually located near business zones. Mid-range restaurants offer meals for around 10 to 15 USD. And, of course, you can go to more expensive places like Pujol or Quintonil, where you will spend more than 100 USD. Great places to experience a true local Mexican food experience are traditional markets. You’ll find tacos everywhere but that doesn’t mean they’re good. If you’re in doubt, always go to the places that have more people, that’s usually a sign that a place is good. Here you can read a guide on the basic street food you have to try in Mexico City and where to eat it. Important: in some places, they will ask what kind of sauce you want with your food. An option can be “de la que no pica” (meaning a not spicy sauce). Most of the times, it is spicy, try it first before putting it in your food. When looking for accommodation, choose one that’s near a metro station, that will make moving around the city easier. Trendy, cool, calm zones where you can find great accommodation are Condesa, Centro Histórico, Roma, and Cuauhtémoc. For backpackers, Mexico City is a great option. It has a lot of amazing options where you will meet fellow travelers to have adventures with. You can easily find decent hostel options starting at 20 USD per night per person. Read this post to know the best 20 hostels in Mexico City. Mid-range hotels or Airbnbs are also affordable, starting at 30 USD per night. 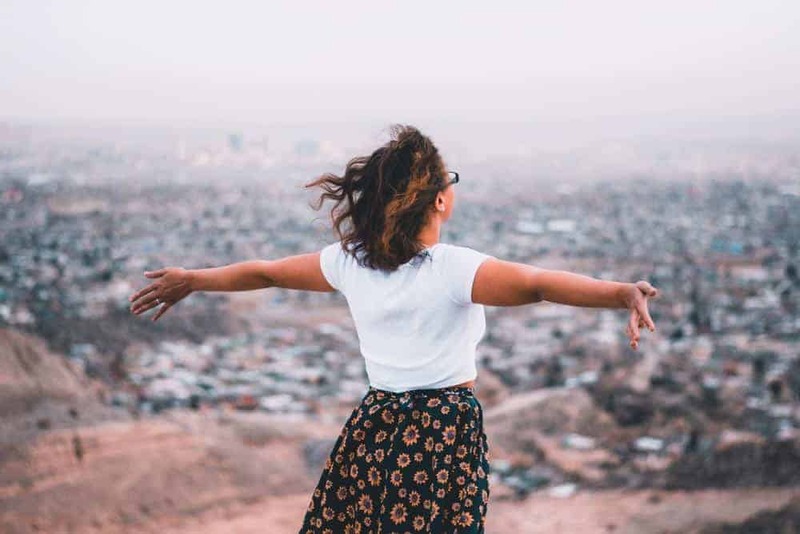 And, finally, if you’re willing to splurge in a good accommodation place, there are hotels like Habita or well-known hotels like Marriot or Fiesta Inn. Read this list to know more about the best hotels in Mexico City. As said before, if you can find accommodation near a metro station, that will let you move around the city in an easier way. Mexico City can be overwhelming and confusing at times, even for the locals. The best way to move around the city and if you’ve ever used the metro anywhere else, it’s similar. The extensive metro system has 12 lines so you can practically go from one side of the city to another one, faster and easier. One ticket only costs $5 MXN (something like 0.20 USD), so it’s crazy cheap! You can buy the tickets at every metro station. Avoid rush hours, since it gets crowded. Safety tip: keep your belongings close to you since pickpockets are common. If you’re a woman traveling solo, there are women-only passenger cars available. Check the map of the stations and lines here. It complements the metro system and, since it started working in 2006, the system is newer than the metro. To use the Metrobús you have to buy a card (Tarjeta Electrónica Metrobús) that costs $16 MXN (less than 1 USD) and includes one trip. You can buy the card in the machines that every Metrobús station has. A trip in Metrobús costs $6 MXN (0.3 USD). Check the complete map of the Metrobús lines here. These buses connect the metro stations with other zones of the city. You pay for it when you get on the bus and must pay with cash. The cost of the trip is of $5 MXN (0.20 USD). To know more about the routes, check them all here. They may be safe but if you’re not a local, it can be tricky to get into the correct bus or into an official taxi. If you have someone reliable to tell you about which routes to take, then it may be a good option. The cost of your trip on a bus depends on the distance you’ll travel (so you have to know where you’re getting off) and it can cost from $5 to $7 MXN (0.20 to 0.30 USD). The official taxis are painted pink and white, or red and golden. All of them have taximeter and depending on where you catch it the cost starts from $9 to $27.30 MXN and they charge you from $1.07 MXN to $1.84 MXN for every 250 meters or 45 seconds. This app is used by everyone and you can even use Uber Pool. Because of the demand, it may be expensive sometimes but if it is, wait 5 or 10 minutes more to ask for your Uber. It’s only 2 hours away from Mexico City. 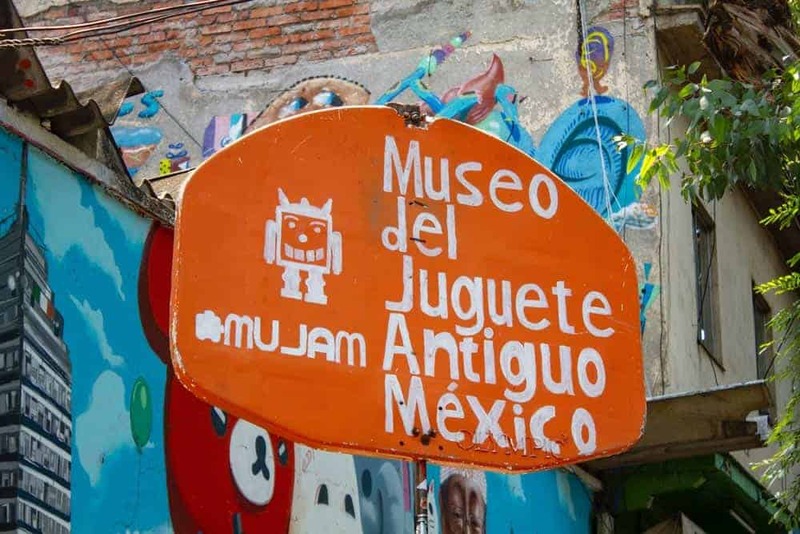 It’s one of the coolest cities in the world, according to Forbes and you can walk around its colonial streets but also see more modern things like Museo Barroco. Close to it is Cholula, home of the pyramid with the biggest basement in the world. The smallest state in Mexico is calm and pretty. Walk around its Zócalo and if you’re there in the right time, you can also go to La noche que nadie duerme in Huamantla, a tradition in which people decorate the streets with colored sawdust. It’s called the city of eternal spring because of its mild climate. When here, visit Jardín La Borda and the Zócalo. If you like a hipster vibe, visit the Juan Ruíz de Alarcón street and have some pulque or craft beer in the bars around. A small town with an archaeological site on top of the mountain surrounding it. To get to the archaeological site you have to climb (but don’t worry, there are stairs) El Tepozteco. Watch out for your belongings when you’re there because there are coatis everywhere. Although it’s full of foreigners, it maintains a very Mexican and traditional look. This is the place where locals of Mexico City spend some of their weekends. Choose any rooftop bar, they will all have amazing views. On your way, you can also visit Peña de Bernal. A colonial city that has grown a lot during the past years. This city has the best of both worlds, a calm area in the center and factories, business centers, and shopping malls around it. Mexico has a reputation for being unsafe and sometimes even dangerous. 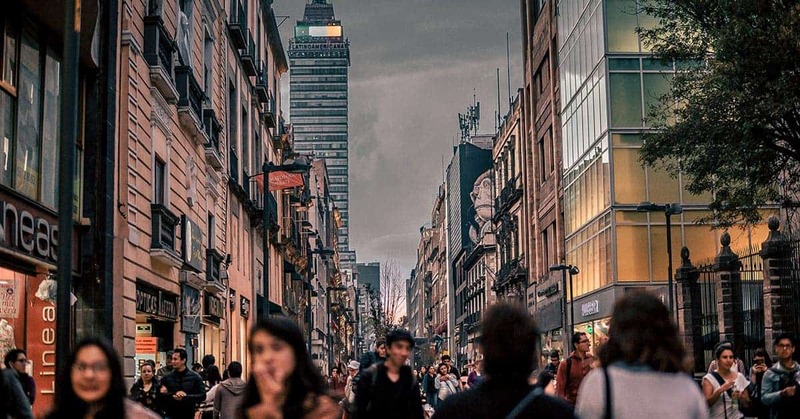 Although some places are dangerous, Mexico City is generally safe if you’re aware of your surroundings. Machismo is common in the whole country, although there have been changes in the attitudes of men during recent years. Ask your hosts or reliable people where is unsafe to go as a woman and avoid walking alone at night anywhere (even in the safest parts of the city). Groping is common in public transportation and you can also be a victim of that on the streets. Although women should be able to walk wearing whatever they want, you can try to use less revealing clothes to avoid groping or catcalling. Also, people in Mexico are very touchy and are used to hugging and kissing even if they’re meeting someone for the first time. This has no further intentions than to be nice but if you’re feeling uncomfortable, be sure to say it, Mexicans won’t get offended and they will understand. Mexico City is a great place to travel with the whole family. Since the city is so big and distances between important places may be super long, be prepared for that. The city has a lot of parks, museums, and activities that are kid friendly but that the adults will enjoy too. You can check a list of the 50 best activities to do with kids in Mexico City. And remember, you can also use Talk Travel App to plan your trips better and without stress! Download it for free for iOS or Android.